Gently touch their lips if they don’t open their mouth. The person will usually pop open their lips if interested or they will let you slip the straw between their lips. If they purse their lips and tightened up so you can’t get the straw in their mouth, then are not interested. 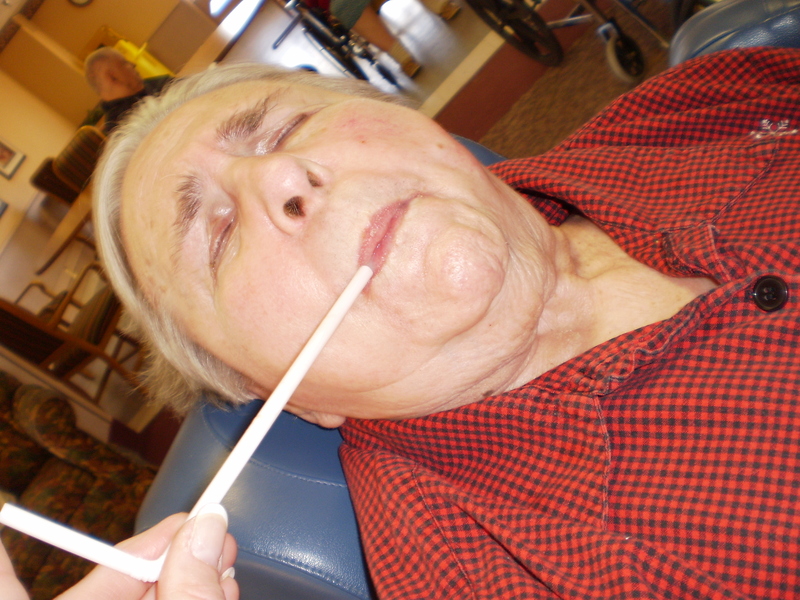 This is a simple and an effective method to get fluids into a person’s mouth. Most people will find time will pass faster, when you have a purpose and are engaged with the person. If you don’t have a specific fluid you are trying to get in them, but want to moisten their mouth, you can feed them tiny ice chips. It is best to use a small spoon with 1 -3 little ice chucks, like those used on an snow cone. 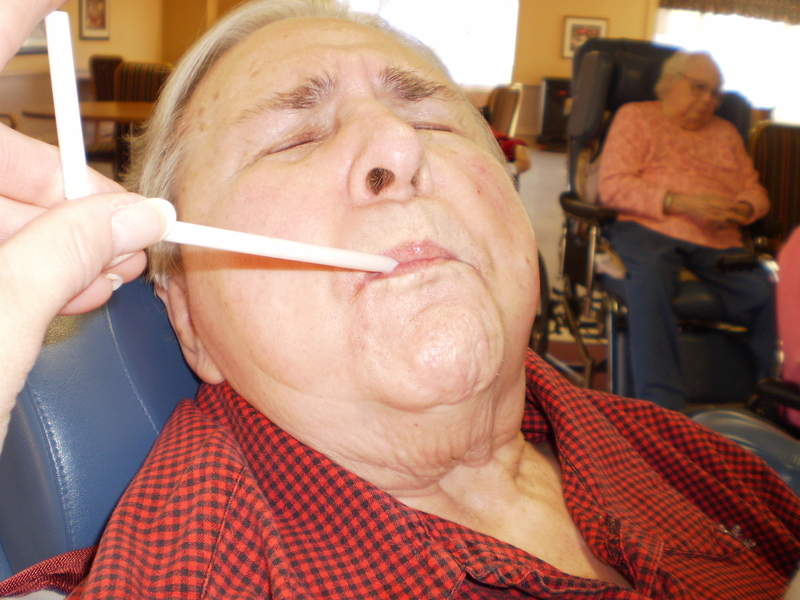 This works very well for someone who breathes through their mouth and their mouth gets dry, or someone who is in their end stages and can’t tolerate much intake and you are just trying to keep them comfortable. A dry mouth and throat can be an irritant for them. Giving small manageable amount of ice is minimal work for them. The small ice chips melt in their mouth moistening the mouth with little to no effort on their part. Again announce what you are doing prior to putting the spoon to their lips. If they don’t pop open their mouth try gently rubbing the spoon on their bottom lip like you would do when feeding a baby. Usually they will than pop open their mouth like a baby bird for you. This past week I’ve been up at our family cabin relaxing and working on some projects for my speaking business. While up here I went to visit Alan, a dear family friend of forty years. 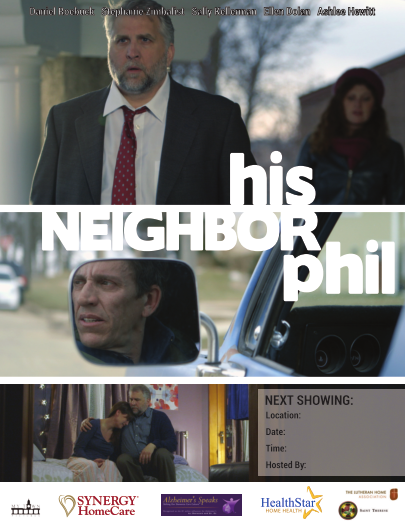 He is now living in a nursing home in Aitkin, Minnesota. 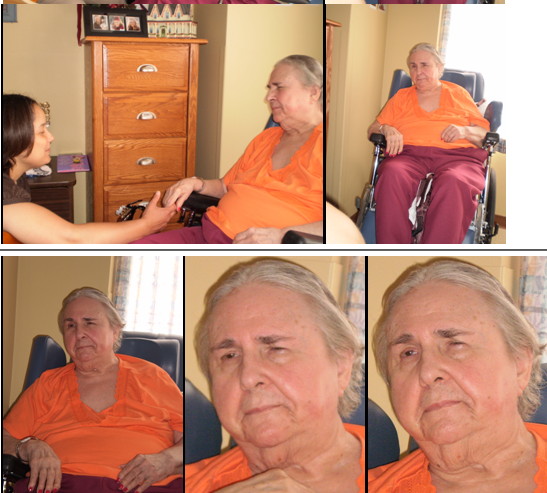 I believe my story about my visit with Alan is an important one about aging and illness; and hopefully one you will relate to. As I entered Aitkin Health Services, I was immediately impressed with the community. Friendly staff, an activity room filled with engaged people; clean bright, and beautiful. As I maneuved my way to Alan’s room I found myself approaching a large garden area. This was the central area for his community. I felt like I was outdoors and almost double checked, but I knew I had not left the building. Several doors were spread around the perimeter of the garden space, each a door leading to a resident’s room. As I approached the door to Alan’s room I noticed it actually led to two large rooms. I peered in each. I was sure the man in the room to the left was not Alan, but I wasn’t so sure the man in the room to the right was him either. He looked different from what I remembered. From the doorway the small pale man did not look like Alan but I decided to check as the name plate said it was his room. As I walked in I announced myself and I realized I had “FREEZE FRAMED” Alan in time. 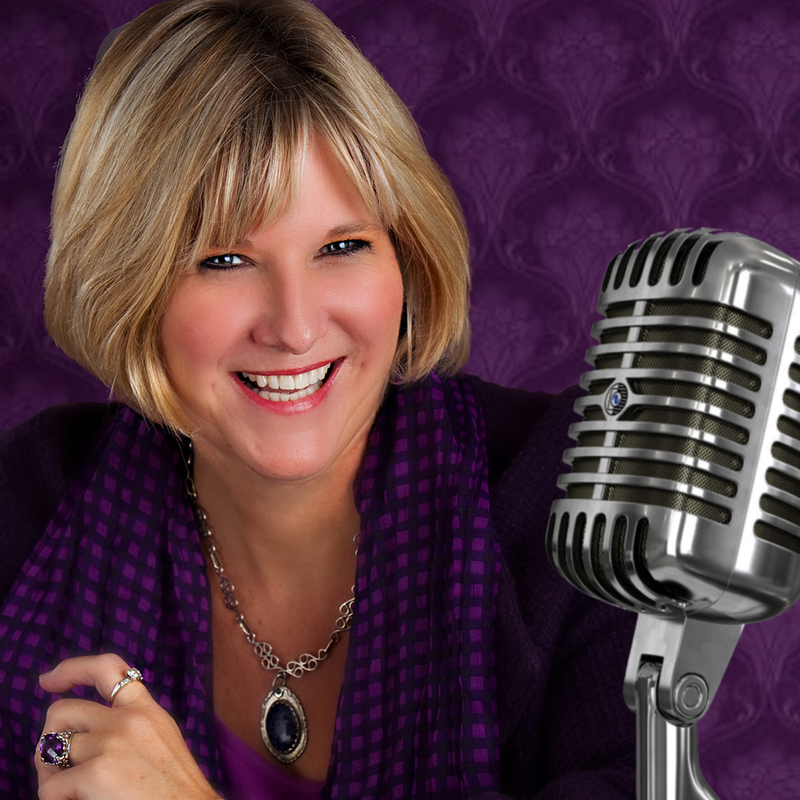 Freeze Framing is a term I use when speaking and training Caregivers. Freeze Framing occurs when we take a snap shot of someone’s life and choice to remember them in a certain way, usually how they “used to be.” Typically it is picture in our mind when we feel the person was active and vital. Often, it is in great contrast from what is actually before us when someone is ill or dying. In my mind, I had “Freeze Framed” Alan as an active man, quiet in nature, and short in stature. He was an icon in his time. Everyone knew Alan. I remembered this farmer and resort owner with a deep golden tan, piercing blue eyes, and a gentle smile that melted my heart every time I saw him. I remembered this man and his wife Marv sharing stories of their travels. I remembered all of the pictures and mementos from their trips. I remembered both Al and Marv in their peak – retired, full of zest; yet loving and compassionate. They were tremendous friends of mine even though some may have thought it strange with our age difference. I felt like they were part of my family and I was part of theirs. Al and Marv never had children and it was too bad, as they would have made great parents. As I walked closer, I saw a fragile man hooked up to oxygen, lying in bed curled up like a baby. He was pale in color, with eyes closed, and he was lying peacefully. What had happened to my strong helpful resourceful friend? It was at that point I realized Alan had been like a Grandfather to me. A grandpa I never had growing up. Forty years of stories and hugs, love and laughter. I pulled a chair up next to his bed and told him who I was, and then I leaned in for a hug and kiss. Alan’s eyes slowly opened and I saw those gorgeous baby blues as he looked into my eyes. He puckered up for our kiss just like old times. I sat down and held his hand and we talked for over an hour. I was amazed and humbled how this fragile man came to life in my presence. What a gift it was for me to spend time with this wonderful man who meant so much to me over the years. What a gift it was to connect with an old friend on such a deep level as we chatted. I gave him the rundown on everyone in my family and asked about his. I told Alan all the things I remembered about him and his wife Marv. I told him how special and loved he was not only by me but my family and others. What a generous couple he and Marv were. How much it meant to my parents when they sold the land where our cabin now sits, to them on a contract for deed as my folks couldn’t afford to buy it any other way. I reminded him of the others he and Marv had helped over the years. As I talked to Alan he laid in bed beaming with pride. I can only imagine how nice it would be to have someone tell you how much they love you and valued you in their life. It’s sad as a society we don’t share these things more often with the important people in our lives. Alan then told me, “I always thought you were pretty special too.” My heart melted once again with the love I hold for this man. He told me he remembered meeting me for the first time when I was six. I thought I was about ten or eleven, but he might be right. Who knows and who cares. I was so touched he remembered me and our special times together. 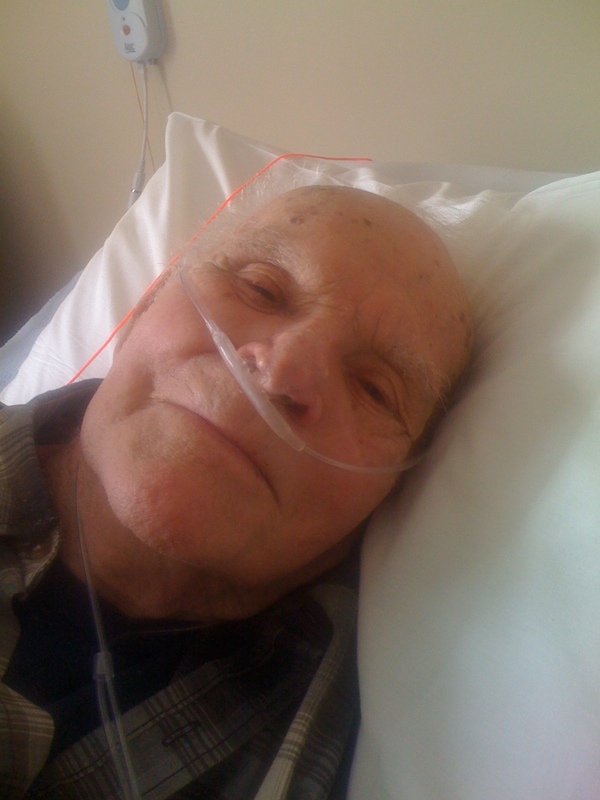 He told me he was 97 years old now and he had been pretty sick last month with the flu. Alan told me he wasn’t sure how much longer he really had. He told me had that “Old person’s disease.” I asked if he meant Alzheimer’s and he said “Yes.” As he talked his eyes were filled with love and he was flashing that beautiful gentle smile at me. Alan and I talked about Marv and their life together. He informed me she passed. I was aware of that. Marv had died many years ago. Prior to her passing I would stop in and visit her in the nursing home when I would run into town when I was at the lake. Marv reminded me of my Great Aunt Margie. Marv was a home spun farmer’s wife. She always had something freshly baked when I would swing by to visit. I told Alan how I remembered their spiral staircase and how I was so enchanted by it when I was a child. I loved going up and down it. I had never seen a spiral staircase before. They would take me around the house and show me the different things they bought when they traveled and I couldn’t wait to hop on those steps. I loved spending time with the two of them. For a brief moment Alan and I sat in silence holding hands. It was at this time I sensed Marv sitting in Alan’s recliner next to his bed and I told Alan I get these weird sensations sometimes. I explained Marv was here with him, with us. I asked Alan if his ear ever tickles. He giggled and said “Yes.” I told him that was Marv letting him know she was around. He continued to giggle softly through his smiling lips and said, “I always wondered where she was.” His eye sparkled with joy and brought a tear to my own eyes. It was at that moment I felt a need to grab my purse and pull out one of my business cards that has “Your Memory Chip” on the inside of it. I usually use these cards when working with Caregivers as it helps them focus on their loved one. Today I found a new use for the card. I was going to fill it out and give it Alan as a remembrance of our special time together today, of our precious connection over the years. So this is roughly what I wrote down. There is room on “Your Memory Chip” for a photo, but I didn’t have one of Alan with me so I decided to take a picture of him on my phone. The first picture he was closed lipped, so I asked him to give me a big smile and to show those pearly whites. He posed and I took the picture. It made me giggle as his smile was forced, just like any other time over the years I tried to get him to give me a big smile. I wish I had a picture of him as we were talking today: peaceful, quiet, happy with those blue eyes shining and his soft gentle smile that exuded love with a childish excitement. As I gave Alan my business card I explained the Memory Chip inside. I read to him what I had written in it. I told him I wanted him to give him something so he could remember our visit. I watched him take the card and hold it so gently yet tightly not about to let it go either. He had told me earlier his eyes weren’t so good any more but that didn’t stop him from looking at the card thoroughly. He appeared to be trying to read each side and then opened it up to look over my writing inside and then did it all over again about three times. He appeared pleased and it gave me great joy knowing he liked this little memento just between us. This is the picture of Alan I now Freeze Frame in my mind. I hope by sharing this story with you, that you too may take time to connect with your family and friends who are ill or aging. Those people in your life who aren’t who and what they used to be and you have “Freeze Framed” them in order to be comfortable with the memory of them. 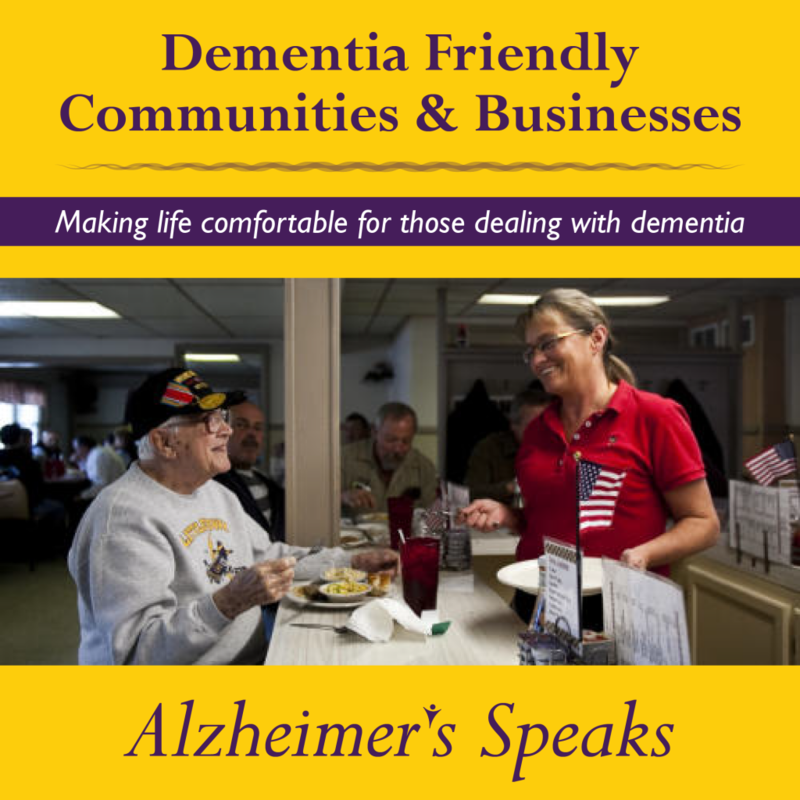 No matter when, where, or how you hear someone important to you has been diagnosed with Alzheimer’s disease, do yourself and them a favor. Go some place quiet where you can be alone with your thoughts. Bring some index cards or some paper and a pen with you. and get your FREE Memory Chip™ Card emailed to you. Next, I want you to think hard and answer the next question. “Things I need to focus one______, _______, _______. The last section is for you to list things you want to remember about the person. What are some of the best memories you have of, or with them? Write them down. These memories will make you smile and help reduce your fear of losing the person you knew before Alzheimer’s took hold of them. Don’t forget to add a favorite photo! You might ask why this is so important. There are a couple of reasons, but first, you must decide if you are going to share your statement with the person who has Alzheimer’s. Some people are not comfortable stating their feelings to one another and that is fine, but I want you to know the possible advantage of doing so. 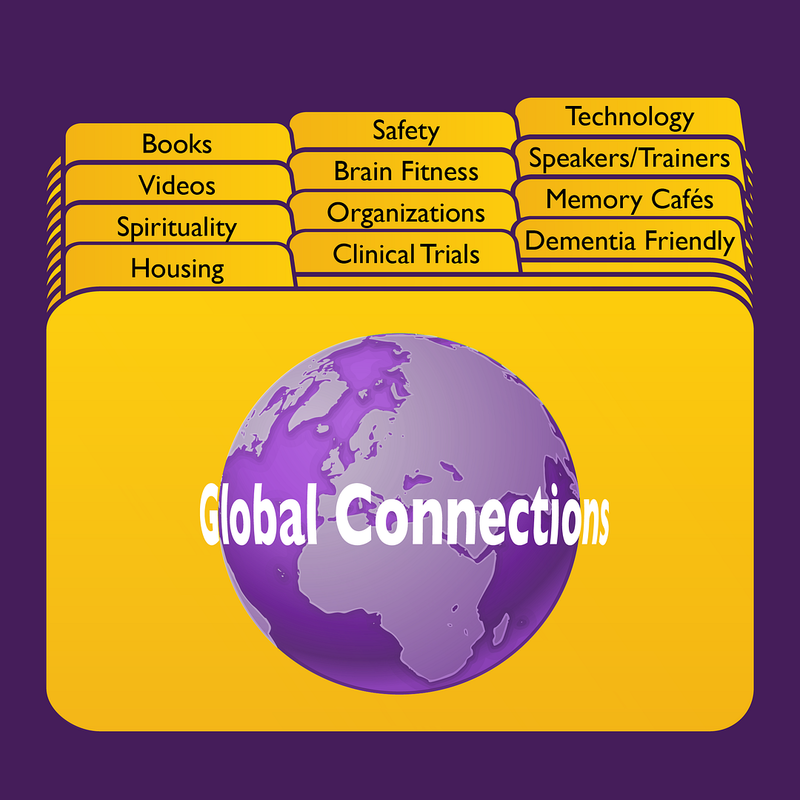 Keep in mind you can share your statements on Your Memory Chip™ with a person in any stage of the Alzheimer’s. If you are lucky to have the disease diagnosed early, it can be an added benefit. You can use the first statement as a tool to help trigger their memory as later stages take hold. The second question will help you focus on what is truly important. You won’t be as likely to get distracted when things are not perfect, or as you thought they should be. I am not saying this is a miracle card or tool. I am not saying the person will remember your name and engage you in conversation throughout the disease. What I am saying, is schedules, consistencies, and patterns can be one of your most valuable tools as the disease progresses. For example, if your statement is like mine, “Mom I love you, and you want you to be safe, happy, and pain-free” and if you choose to share your statement with them, in the same manner, tone, and timing of each visit or conversation; you are now setting a pattern. If you add eye contact and touch at the same time you’ve embedded your pattern into more of their senses. If you wear the same cologne, you have added another sensory trigger. Patterns and sensory recall are great tools. REMEMBER – Sensory Recall is a tool. It is your friend. On the other hand, if you choose not to tell them what is most important to you, that is fine too. You can still do things to create a trigger pattern, by engaging the senses through touch, aroma, sight… May you read their favorite author, put on their favorite music, wear their favorite perfume or cologne, or dab them with their favorite fragrance. The options are endless but powerful. Here is a response I made to one of our followers, Michelle. She is struggling with the non responsiveness of her Mother which is a typcial struggle. Please read and check out the powerful video of Naomi Feil. Your Mother may not be able to communicate like she used to but beleive me she is still in there. I’ve seen it time and time again. I want you to go to this website and watch some short videos. Be prepared to cry as it is so moving. The woman in the video is Naomi Feil. 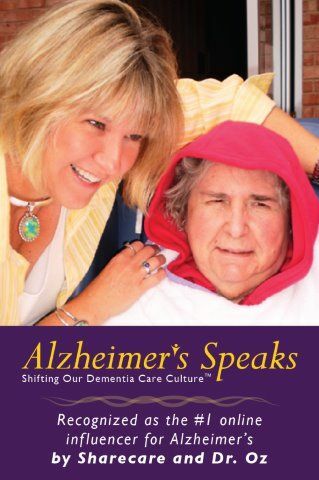 She grew up in Nursing homes and has a whole wonderful and amazing philosophy on communication with Alzheimer’s patients. I’ve seen her in person. She is INCREDIBLE! Promise me you’ll try to watch this before your visit. The second video down is the one I for sure want you to watch. You will see from the video they are inside that shell. I will also share with a story of my Aunt who was in a coma state dying of cancer when I went to visit her to tell her of a dream I had. When at the hospital the nurse told me expect no response. No eyes opening, No squeeze of the hand, no talking, no nothing. I sat with her for 45 minutes or so holding her hand and rambling about everything and nothing. Then I got up my courage to tell her of the dream I had. I told her my Uncle Chuck , her husband coming to me in a dream. He stood at the side of my bed and with a big brilliant smile, eyes shining brightly, and his arms held out up to embrace and he said, “Lori tell Kay it’s time to come. I am here waiting for her and I will take her over. Tell her it’s time. It’s ok. I’m here” Then he was gone. As I told Kay of Uncle Chuck and what he had to say, she squeezed my hand, her eyes popped open, she got this brilliant smile on her face as she looked up into the heavens. Then, another little squeeze of my hand, her eyes shut, but the smile remained. I stay for a bit longer and then left still in shock of what happened. About two hours later I got a phone cal saying my Aunt had passed. She heard me and I believe she saw Uncle Chuck too. They are in there. We just never know what will trigger a reaction. You know I really did not fully understand the meaning of “Being in the Now,” which is all the talk with Eckhart Tolle, and Oprah, until my Mother’s disease progressed. Living in the now, has allowed my daughter and I to have wonderful times visiting my Mother. It does not make any difference where she is in time or place in her mind. We just play in her playground. 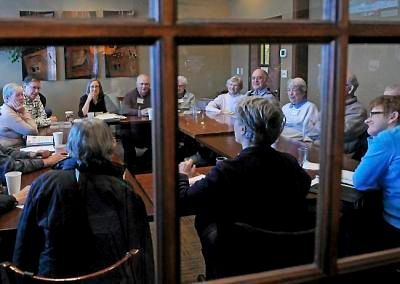 I call it my “Playground of Hope.” If Grandma, wants to talk about pink Cadillac’s with spinners for wheels, and sound systems; what is the harm? She is happy. It is innocent fun and a nice break from the “real world.” As adults we all too often forget how to play. 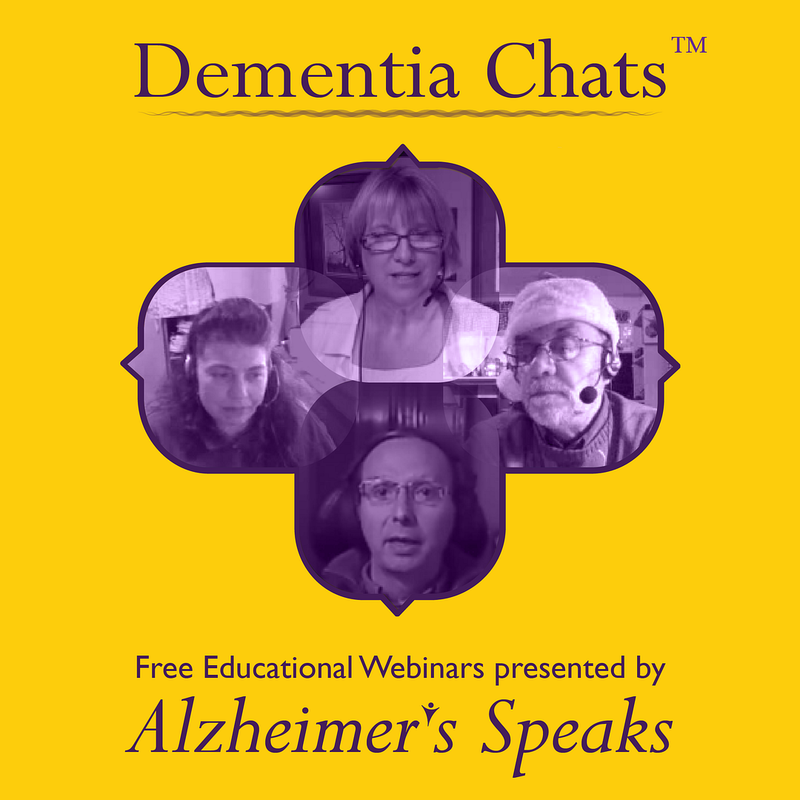 Alzheimer’s disease invites us and teaches us how to play again if we are willing to change our ways just a bit. It can truly be a blessing if you let it. Here is perfect example to show how we have lost our ability to play as adults. Have you ever played with a child with no one watching? It’s just you and them. It might be something simple like sitting at a table and coloring, or baking cookies, or maybe you are at the park playing. You can feel that special energy take over and absorb into your body and soul. Your spirit feels free. You are totally connected and observant of everything happening between the two of you. Everything seems to be happening at a higher frequency. You recognize your body’s response to all your senses because you have made the time to do so. The looks, the smells, the sounds, the touches, the tastes are all heighten. Then an adult walks into your space. The energy instantly changes, and both you and the child know you are being looked at, being watched. You are being judged. It makes no difference who walks in; it could be your best friend, or the parent of the child. They are an outsider who has to determine what is going on. “They” are not playing in your playground. You know they are making judgments based on their perceptions. It’s like having this wonderful balloon filled with helium and then someone just pops it. BOOM, everything has changed and you have lost that heightened sensitivity. Here are some comments and questions about hospice and dealing with someone who can’t communicate any more, that came from one of our readers Michelle. I thought many of you may be wondering about the same things so decided to make our conversation a post. Good morning Lori…Hope all is well with you. Spoke with my mom’s hospice nurse yesterday and just mentioned how my mom cries. She explained to me that sometimes this may be her way of acknowledging you. Do you find that to be true? I thought perhaps that she may be in pain, but she told me they have a way of noticing if that is so. She will be assessed next month to see if she will continue with the hospice care. She said if she continues to have weight loss and not eating well…that she will be able to have the hospice care. As weird as this sounds, I hope she will continue to be eligible for their care. The nurse also mentioned that her sleeping is normal. She seems to always be asleep whenever I call the nursing facility. I thought they were giving her meds to make her sleep, but she said that is not the case. She said that in the final stages sleeping a lot is normal. Do you find that to be the case? It’s good to hear from you. Sorry your Hubby is sick. Hopefully he is not a whiner. LOL No really, I hope he doesn’t have H1N1, but if he usually doesn’t stay home you know he is feeling pretty bad. Maybe some good chicken noodle soup will perk him up and he’ll be up and running soon. You asked a couple of question. Let me address the first question on crying. Here I have to agree with Hospice. I have found their cries are different for pain, then when acknowledging someone around them. As I say that I’m trying to figure out how I know that. I guess I look at their eyes, mouth, facial expressions, and body movement in general to tell me. Do their eyes look soft and calm or fearful or painful? Does their mouth look peaceful, smiling, or is it unaffected vs. twisted and tight. If they start to twist their face, or body; or twitch I find this is usually a pain situation. Bottom-line, if I’m still not sure I pray for guidance and something usually comes to me. It makes me feel calm and knowing. It maybe a voice I hear whisper in my mind, or just a gut feeling that settles with me to guide me in how to handle their reaction. As for your second question on sleeping, I too agree with hospice. I have found sleeping in very typical. I find I look for signs of frustration to tell me if things are not in sync. I look for those facial signs, the eyes, mouth, the body movements and sounds. I find with my Mother she is perfectly content being in bed. In the earlier stages would be upset and not ready to go to bed. She was uncomfortable. This is not the case anymore. As long as she is content, peaceful, and happy; I’m ok with it. I think part of how I got to this point is I now accept who she is today. I no longer feel the need to have my “Old Mom.” I’ve let that image go in a sense. I remember what she was like, but have accepted that imagine as part of the past. I try to enjoy her as she is now, even if that means she is tired or non-responsive, compared to how she used to be. I have learned to look at the subtle signs she gives me. I have learned to connect with her on a deeper level. One I did not know existed prior to her disease. You also talked of hoping your Mom remains on hospice. I totally understand. My Mom was on hospice and then was taken off because she gained weight and didn’t qualify any more. Mom had been losing weights for about the last year up until hospice started. It was a double edge sword. 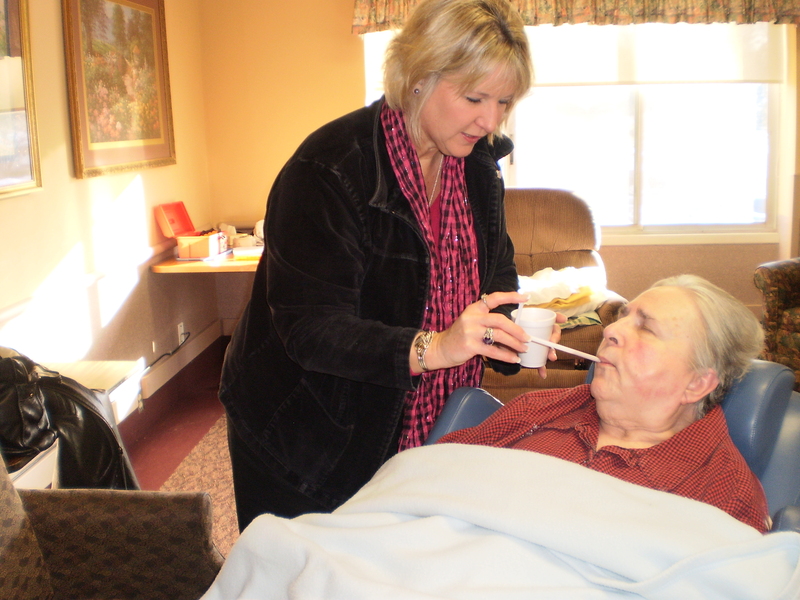 Even though you hate to have someone on hospice because you know it’s toward the end of their life, you still want them to have as many services to keep them comfortable and to assist in providing a wonderful quality of life. It’s a mixed bag. For our family we will most likely have to go through the process of signing Mom up at another time for hospice. I hope these answers help you when you are connecting with your Mother. Have a great visit with your Mom. Let me know how it goes. Mark LeBlanc, a Small Business Success Consultant, coined the phrase “Done is better than perfect.” Few quotes are more relevant in life, especially for caregivers. We all waste precious time perfecting things we do; and time is the one thing we run out of, and can’t buy more of. So stop worrying about what others think, because most people are not perfectionist. Just do the best you can with what you have to work with. Allow others to do things ‘their way,” even though different from yours. By letting others participate, it allows them to feel good about giving; and for those receiving they get to see others, and know they care. Besides no one wants to be chained to one person day in and day out; not even if that person is you! It’s not healthy for anyone. 4) It’s crossed off your things to do list! Now just take a minute and absorb the above statements. Each one makes you feel pretty darn good. What a relief and a time saver to boot. Done is Better than Perfect! Now get going and complete something on your list. First, you need to be realistic with your individual situations and circumstances because you cannot change history, you can only deal with it. Take sometime to yourself and sit quietly. Than ask yourself these seemly simple questions. Or so they seem until you try to answer them. How could these people affect your relationship with the person? What needs does the person have today? What do you project their needs to be in the future? What role do you see yourself playing in their life in the near future? And later on? What are your needs from this relationship? Are there things you feel you cannot or are not willing to provide to this person? How much time are you willing to put into this relationship? Are you willing to support this relationship on a financial basis? If so, to what extent? What is the most important thing to you about your relationship with this person? Once you have had sometime to ask yourself these questions you will find more questions arise, and that is perfect. The new questions will help you design you plan for the future. Now, if there is one thing Alzheimer’s disease has gotten through my thick skull, it is that things change. Nothing is permanent, no matter how much care or how much thought you have put into something. So I want to make sure you don’t feel things have to be set in stone before you can move forward. 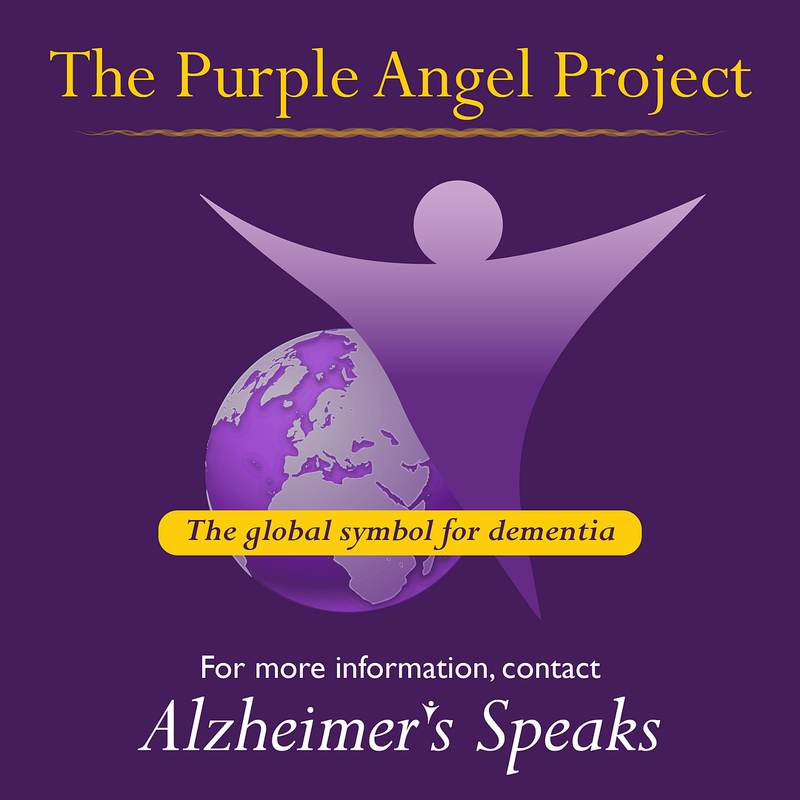 Nothing is further from the truth with Alzheimer’s disease. I have posed these questions to you, so you might avoid some basic adjustments right off the bat. 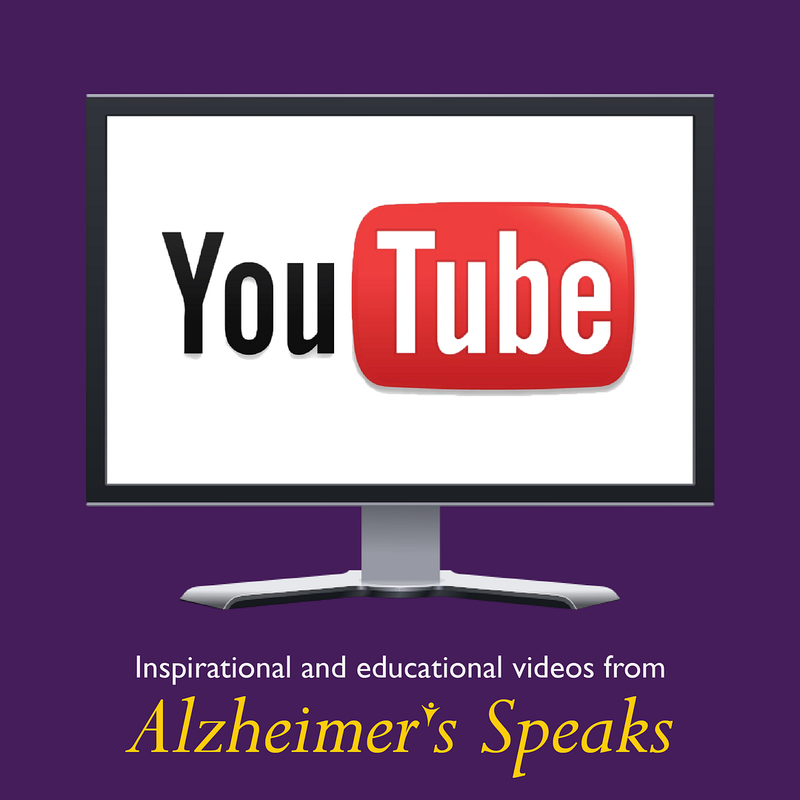 If the person you are dealing with is in the early stages of Alzheimer’s disease, these are great concept questions to have them answer as well, but you might have to tweak them to be pertinent for them. Just break them down into simple verbiage so they do not get overwhelmed. Today, turned into one of those unexpected really, good days. One of those “AH HA,” times where I thought to myself, “Why didn’t I think of this before?” Taking photos is such a simple and easy thing to do for an event or just capturing an everyday moment. It does not make any difference if you have an expensive camera, a disposable one, or a cell phone that takes pictures. It is all about the MOMENT! Yes, being engaged in the moment before you is all that ever truly matters. 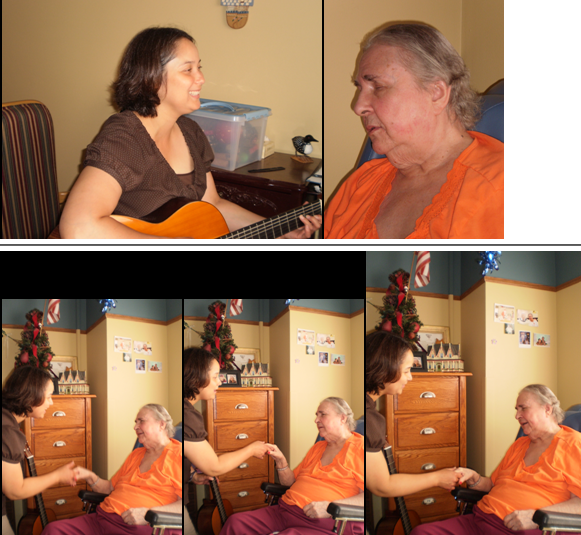 I was at the nursing home, where one resident after another amazed me. They all loved having their photos taken. It is one of those small things that matters. Photography makes us feel valued as a person. The person taking the photo is engaged with us. They have to connect and be attentive in order to capture us, our essence, in that very second of the snap. The quality of the photo does not matter; a good photo or not, makes absolutely no difference. Someone thinks we are worth taking a picture of! No matter who we are, or where we are at in life, it’s always nice to know we have value, even if we are a person with Alzheimer’s disease. Make a list of everything they like to do or used to like to do. Friends and family alike– What they did they do and where did they go with them? Vacations – Where did they go? Where did they live? –Countries, States, Cities, and Towns. Who were their friends there? Chores – Did they have any growing up? Movies – Which ones did they enjoy? Music– What kind of music did they like? Get the name of songs and artists. Music is a very powerful tool and can be used to trigger calm and happy emotions. Hobbies – What type of hobbies did they have over the years? Sports – Did they enjoy sports? If so, which ones? Did they go to events, listen to the radio, or watch on TV? What kind of person were they? Organized? Sporadic? Humorous? Serious? Fun? Loving? Mean? Cranky? Emotional? What kinds of smells do they like? What kinds of smells are they used to – cologne, perfume, lotion, hairspray, shampoo, conditioner, laundry softener, cigar, cigarettes, alcohol, campfires, farms, city, foods… If they can’t wear the aroma now, maybe you can. When you get close to them, they may pick up on their sense of smell from the past which triggers good thoughts. What did they do around their home? Were they handy? Did they do laundry, dishes, cooking, cutting grass, work in their gardens. Were they a couch potato? Were they busy all the time? Did they help other? This list can help you redirect a person with memory loss. In addition, it will make you so much more aware of where they are coming from. Where are they in time, as this will affect their perceptions, which in turn affect their reaction to life around them. There is not too much worse than blowing up at someone who had nothing to do with why you are upset. Most of us have done it more than we care to admit, and the sad part is we usually take it out on someone we view as safe. Someone we love, someone we think will put up with our mood swings. 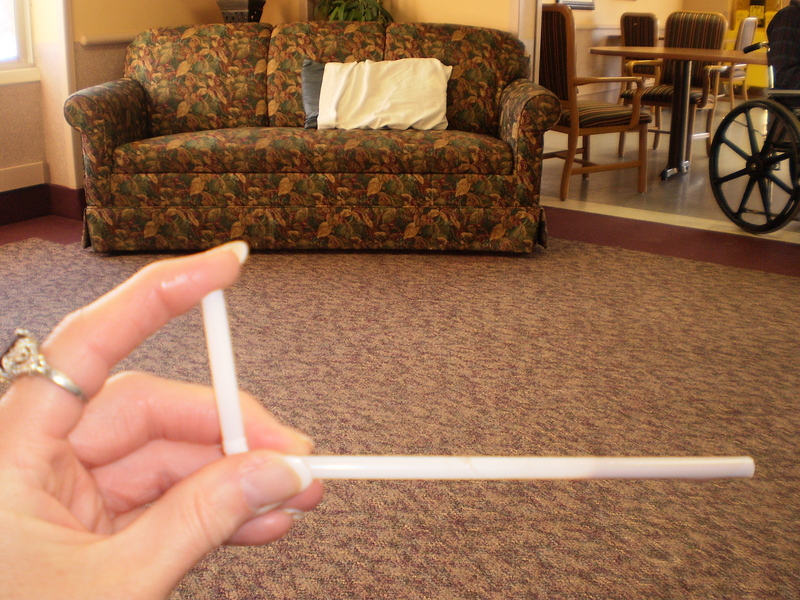 This is an exercise, which can help you pinpoint what is frustrating you, as a Caregiver. I know we do not think we have the right to get angry or to get upset, but it is a normal part of the process. It is part of life, and just because someone becomes ill, basic life issues do not go away. If anything, the issues will intensify, especially if you choose to ignore the emotions within yourself. This is a simple and enlightening process. Once you have identified the source of the problem, you can than decide how to correct the issue. So lets’ get you started. This form can be used as a guide. First, make a list of all the tasks you are responsible for. Break them down into steps if you know something is bothering you, but you cannot figure out what. Many times, when we break down the task we can find where we are feeling uncomfortable or overwhelmed. When we do this, we can find another way to get the step done. It maybe passing that portion onto someone else or accomplishing the step in a different way. Second, write down the timing of the task/step. Third, this one is the biggy. Note how the task/step makes you feel. Are you comfortable doing it? Do you find the task uncomfortable, or frustrating, or maybe you really enjoy doing it? When you find something you like to do put an * by it. We tend focus on the negative. Do not do that! Be thankful for the little things you do that you get enjoyment from. Put an * or a smiley face by them as a reminder. If you find something uncomfortable, dig deeper. Are you uncomfortable because you do not feel you are good at the task/step? Is the task/step something that physical hurts you? Like lifting someone. Is it something you find difficult for you to do? Maybe handling finances is not your thing. Do you feel embarrassed doing the task? For instant helping with bathing and toileting. Keep in mind, there are no right or wrong answers here. Each of us has grown up with different life experiences developing us into the person we are today. Next, list who might be able to take on this task/step. Sometimes, many times, we should probably hire out some services to provide the best care, but we feel guilty about not being able to provide the way we think we should. The way we think others, think we should. I coined this phrase, after my Father had passed away. 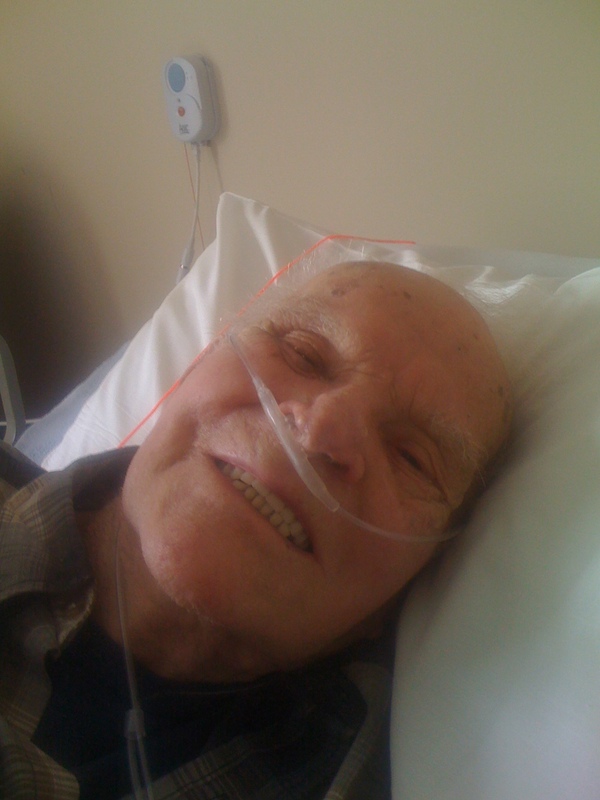 When I looked back at caring for him and my Mother, I regretted a few things. Most of my regrets had to do with my checklist of things to do. Don’t get me wrong I loved being the primary Caregiver to my folks, but looking back I realize many times I was too busy doing things on my “TO DO LIST,” and not spending true quality time with them; like talking, visiting, and going out with them. I also realized that by doing the majority of things for my parents, it pushed my Brothers out. This was not my intention. I was the girl. I was the only daughter. I lived the closest to my folks. This was my role. This is what I was taught. Wasn’t it? Society pretty much expects daughters to play the primary role, if a spouse is no longer able. By me taking on this strong role, my brothers lost out, on a time to give back to my parents for all they had done for us growing up. They lost the opportunity to show my parents how much they meant to them. They lost out on so many of the memories I have captured in the book I am writing, just due to the fact they were not there for them. Now, please do not think I feel the only way someone can give back, show someone you love them, or collect memories is to take on a Caregiver role. That is not true, but what I am saying it is a great opportunity to do so if you choose to look at it in this light. I guess what I am trying to say is it is ok not to do everything yourself. There are benefits to sharing the responsibilities. One of the biggest for me is having no regrets when my Dad passed on. I know I will feel the same way when it is my Mother’s turn. 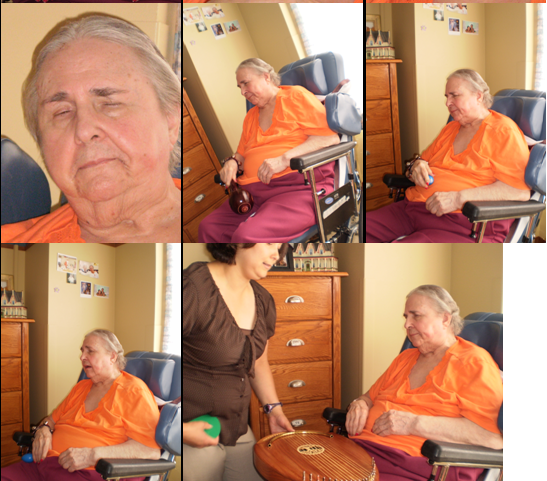 Caregiving lets you see someone when they are vulnerable. For some children and even some spouses that is a rare look directly into the hearts of their loved one. It is a humbling role for both of you. The level of trust you have to have between you is incredible and strengthens any relationship at any level, if you honor it. 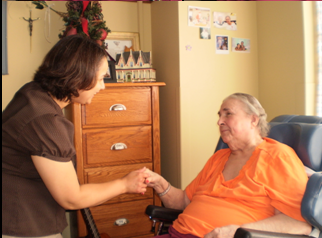 Caregiving is an opportunity to honor, and love unconditionally. It is a very precious thing to be part of, but it does not mean you have to, or should be expected to stop living your own life. Balance is critical to giving good care to another. Let’s get you back to writing your list. Please feel free to use the form below or make up one that works for you. This next exercise is great for your mind, body, heart, and soul. It is a fantastic journaling exercise, one that allowed me to write my book. Please do not let the word journaling scare you off. Some people think journaling is soft and mushy, not a “manly thing” to do, or something “weird” people do. Others think of journaling as deep and confusing. Please do yourself a favor. Do not think that hard. Relax. Journaling is simple, once you stop judging what journaling is supposed to be and just let the words flow. You might find just jotting down keywords, not connected in any fashion at all, works for you; or maybe writing a poem does the trick. There is no right or wrong way to journal. It is whatever works for you and there is no need to share it with anyone if you do not want to. By recalling my memories, I was once again laughing and crying as I pulled each of my chapters together. It was a wonderful experience, to feel the emotions, and reclaim, that which has happened. Now I am at a point where I feel the emotions, but my focus lies on what I have learned through the experience. What these times have taught me. To begin, get something to write with and something to write in, or on. It could be a journaling book or a napkin. It does not make any difference. Remember there are no rules! I personally have several journals none are in any order, or sequence. Sometimes I pick up a pad of paper and start writing. I just decide what feels right to me at the time. It is not the most efficient way to write, especially if you want to refer to your stories, at a later date. Having no order for me was therapeutic in itself. I then have to peruse through, all my writing. I am always amazed at how I looked at things when I wrote it, to how I feel today. Sometimes your thought process changes drastically over time. It is actually very interesting in and of itself. Next, write down an incident that happened. Note as much detail as possible. Don’t worry about making sense or being grammatically correct. You are not writing to win an award or pass a test. Make sure you cover the basics: who, what, where, when, why, what and how. If you feel you cannot write something in story form, then don’t! It is ok to just make notes by each of the basics, maybe for you this will mean using trigger words. Third, feel the emotions your writing stirs within you. Let the emotions consume your mind, body, heart, and soul. This does not mean to get up and act on your emotions; for example letting your anger move you to action towards someone or something; like yelling at someone, or hitting something. It means to sit down with yourself, all alone, and let your emotions process through your body. This may mean screaming at the top of your lungs into the air, or laughing out loud until you afraid you might not make it to the bathroom, or crying uncontrollably until your body shakes and shivers in pain. Set a timer if you want, on how long you want to feel the emotions. Let them flow through your body until there is no more to process. The point is, we all too often express our emotions inappropriately and hurt others, or our self; or we stuff our feelings burying them deep within us so no one , not even us. By feeling our emotions, it allows our body, mind, heart, and soul to acknowledge the event happened. We cannot move forward without completing this step. Think about it. How many people do you know dealing with loss, have turned to addictions to sooth and cover their pain? As a society, we do this all the time. It has been acceptable to ignore our emotions. We must stop this thought process and move forward to regain control of our lives. Last, and most important, focus on what you have learned from this experience. Focus on the positive aspects of the event. For every up there is a down. For every negative, there is a positive. Find it. Cherish it, and move on. Maybe you will even decide to share what you have learned with others, helping them avoid the same situation. 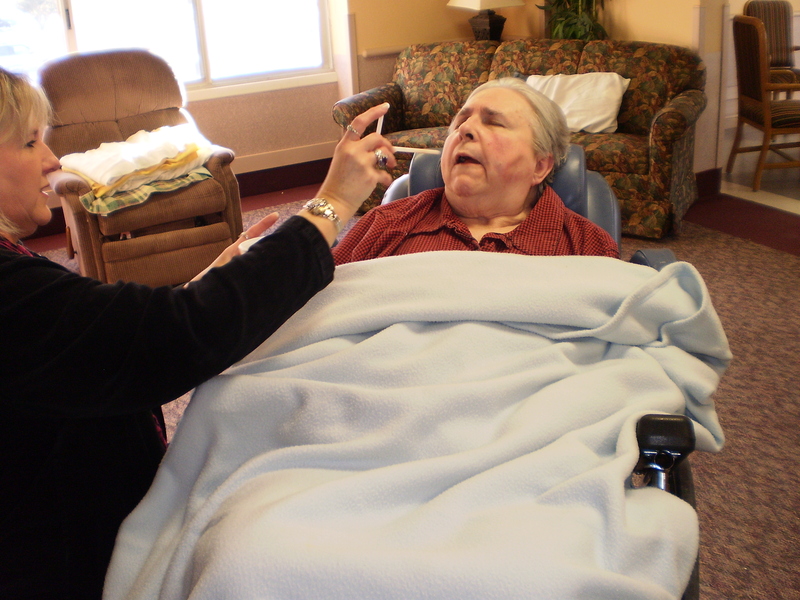 Caregiving is no easy task even when you want to do it. Keep in mind in order to care for anyone well, you first must take of yourselves. This was a tough lesson for me to learn and I thank a handful of girlfriends who did not give up on me. I was so busy taking care of everyone else I refused for a couple of months, to take ½ hour out of my week, to sit down and have coffee with friends. When I finally gave in very exhausted, and said “yes,” the ½ turned into 2 hours weekly. I found myself rejuvenated, full of energy and ready, willing, and able to go back to the tasks at hand. We laughed and cried. It was a powerful lesson. Feeding our souls is not something we openly discuss or are taught to do, but it is necessary to be healthy and affective, not only for others but for ourselves. My friends gave a miraculous gift me. Below is a sample list of priorities and tasks in three categories. You may have more or less categories, priorities, or tasks. That part is irrelevant, just jot down the things that are important to you. Do not forget to write down your goals that are inclusive of all your categories. Now, the one thing on this list you cannot change is you must always is to start and end with YOU! It may sound silly and even look funny when you write it down, but as a society we usually do not write ourselves into the equation, especially once we become adults. Instead of poking the spoon at their mouth head on, gently rub the spoon to and fro on their lower lip. The lip is sensitive and this will have more of a tickle effect. They will receive the food as pleasurable, verse something unknown being forced into their mouth. It is like when a Mother is nursing her baby; being loving, and gentle, perks the baby’s interest. Remember, even if a person seems totally disconnected on the exterior, they still pickup on your energy and your attitude. It is very easy to get frustrated trying to feed someone who is pursing their lips shut. They can sense our discomfort and our anger. A person with memory loss is like us and will go into fight or flight mode. The only difference is the option for flight is no longer an available, which leaves you in a fight. Be aware of your reactions to situations. brings a smile to a daughter searching for ways to connect. As I watched Melissa interact with my Mother I amazed by her patience and her bag of tricks. She played the guitar and sang to Mom and with Mom. 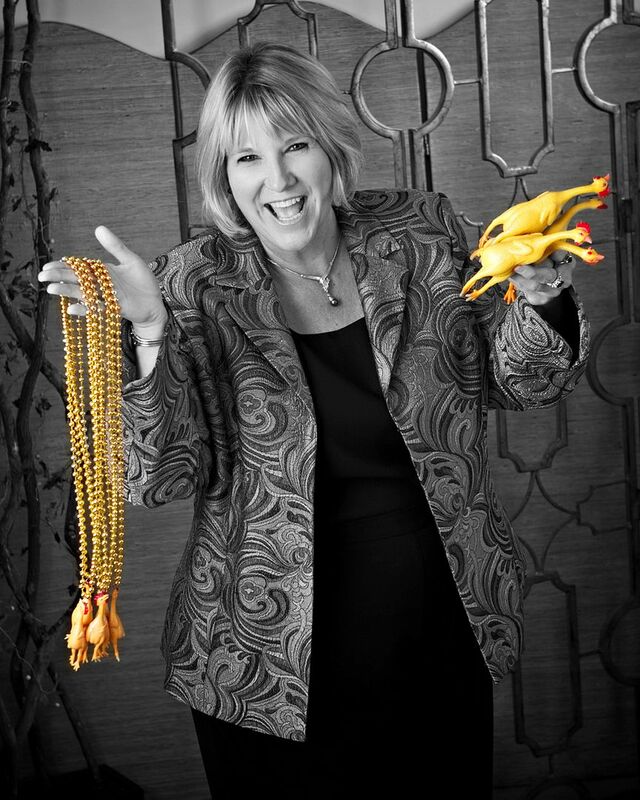 She had bells that strap onto wrists, egg sized rattles that fit nicely in the palm of a hand, finger shakers, and big hand held rattles… and more, all of which got my Mother’s attention. I must admit though my favorite hands down was the two person harp. The sound was incredible and the vibration it gave off as it sat on my Mother’s lap was peaceful and energizing. 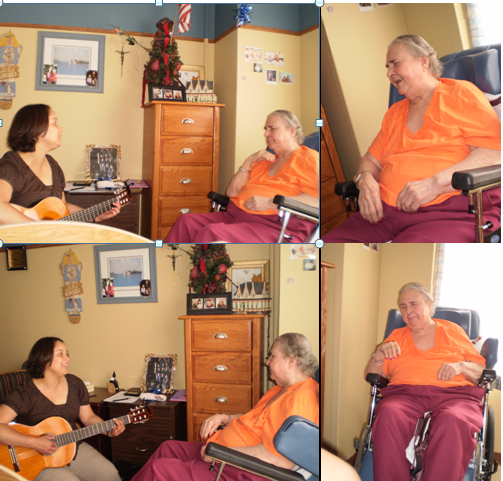 It was fun to watch Mom open her eyes, sing a few words, and move her arms, hands, and feet to the beat of the music. Even though her response was not as animated as in the past, she was still connecting to the music and Melissa. Now I do have to say, we got together at a time of day when Mom is usually tired, after super. Given the time of day Mom’s reactions were very limited, but she is also failing more and so I wasn’t sure just what to expect from her. You see when I visit her these days she only lasts about 10-20 minutes before falling asleep again. Melissa got her to last longer, even though Mom’s engagement was not as strong as prior times she still connected to Melissa and the music and that was such a gift for me to see. 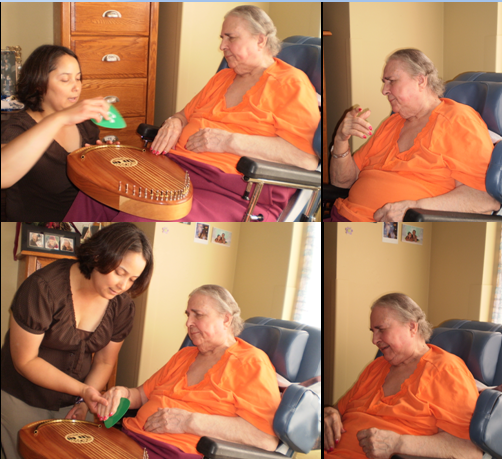 Melissa and I have decided to try another session with Mom at an earlier time of day in about a week and see how Mom does. I will let you know how she does at that time. Here are some pictures from our afternoon visit today. Thanks for reading our blog. Please feel free to share our site with others. Thanks much for writing this info. Whats up, that’s an amazing checklist of tips. Picked up a tip or two from it thanx. Thanks a lot this submit, it is genuinely wonderful! I just want to mention I am all new to blogs and definitely savored your web-site. Most likely I’m going to bookmark your site . You really have great articles. Bless you for sharing your blog. written article. I’ll make sure to bookmark it and return to read more of your useful info. Thanks for the post. I’ll definitely return. Thanks you Devon. I appreciate you taking the time to write. Thank you fro writing. So glad you like the site. VERY impressive post, Lori! I love your memory chip idea, and wish I’d known about it when I could have tried it with my grandmother. Thanks Kendra. Please pass onto others you feel t could help.